← Will I sound uncultured if I admit to enjoying a $1.00 bottle of wine? Fiesole overlooks Florence on a typical Tuscan hilltop. I should have videoed the streets we ended up driving on in our search for a parking spot. The road is technically two-way, but in reality will hold one car and a little bit of another one andis bordered on both sides by high rock walls and offers many blind corners for your driving pleasure. 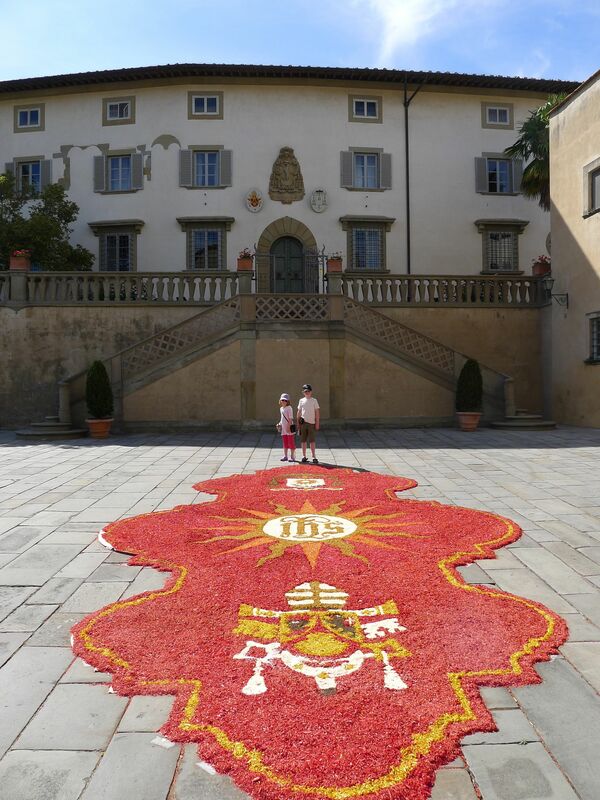 The towns here have festvals in the springtime and create elaborate pictures on the piazzas using flower petals. Scarperia has one in early May. Fiesole had a crest made out of coloured shaved wood behind the church, which is what Cooper and Lucy are standing in front of in the photo below. We left Fiesole and drove down a road that rivalled the road into town in terms of its challenge. 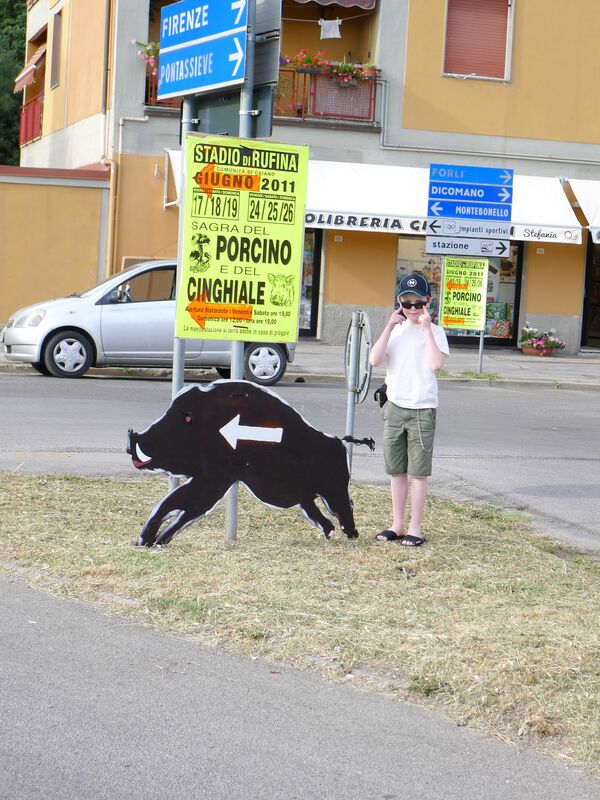 We were driving through Rufina on our way home when we noticed a sign for a community feast. We have up to this point been chasing Tortello Festivals all over Mugello to no avail. More on that later. This feast promised Porcini and Cinghiale. 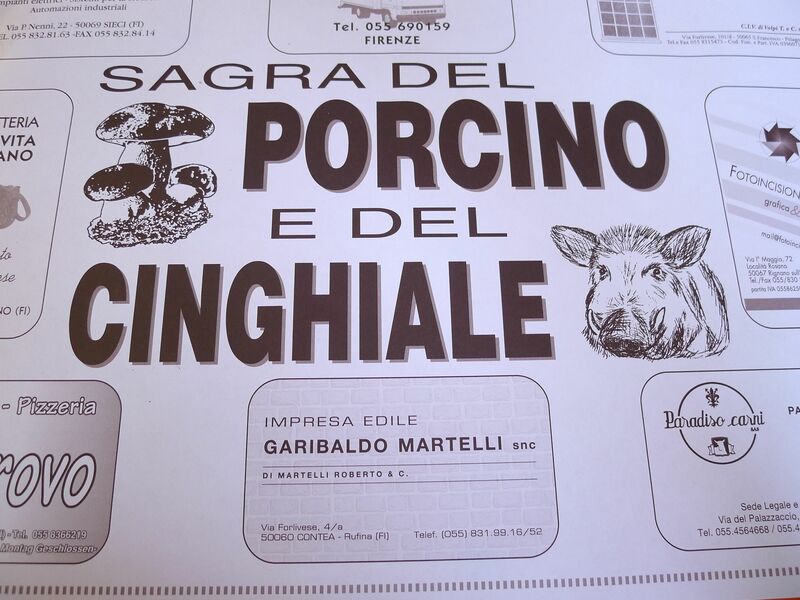 What is cinghiale you ask? Wild boar. After some reconnaissance we locate said feast and make our way there. 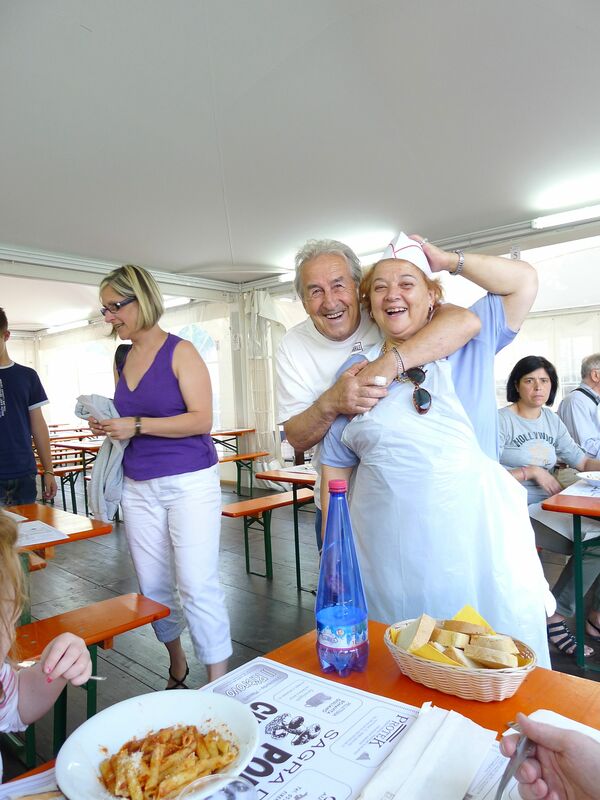 We discuss at length with the locals and decide on wild boar on tagliatelle, stewed wild boar, procini mushrooms on tagliatelle and some plain old pasta pomodori for Lucy. It was excellent and the townsfolk of Rufina were incredibly friendly.